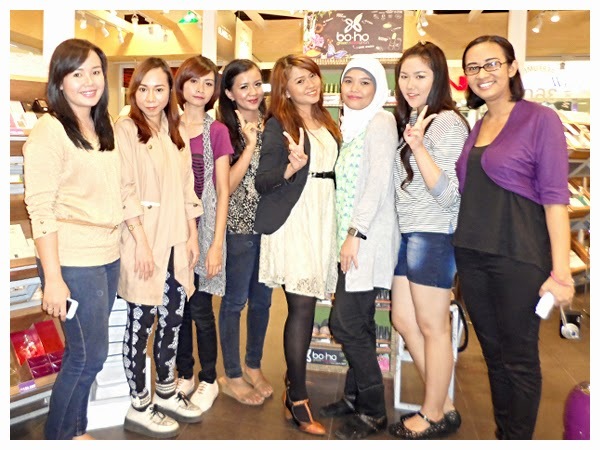 Few weeks ago I invited some ladies, bloggers & non-bloggers, to join Beauty Class with bo.ho makeup at Beauty Box Kota Kasablanka. It was free and limited, so they were so lucky! ^^ Here are some pictures that I took on that day.. 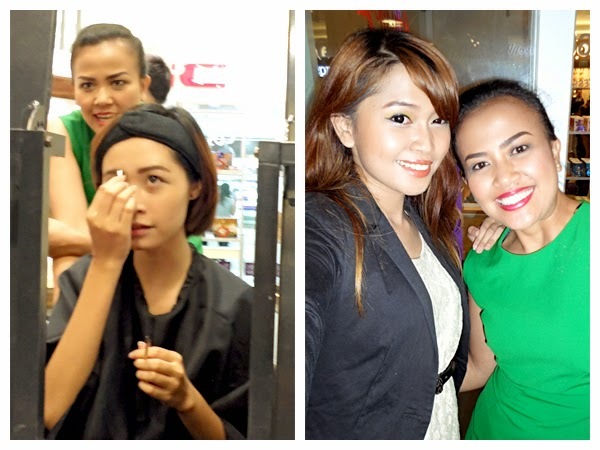 I gave a chance to one of the participants to be the model, her name is Nunuy, she's a blogger too (left pic). 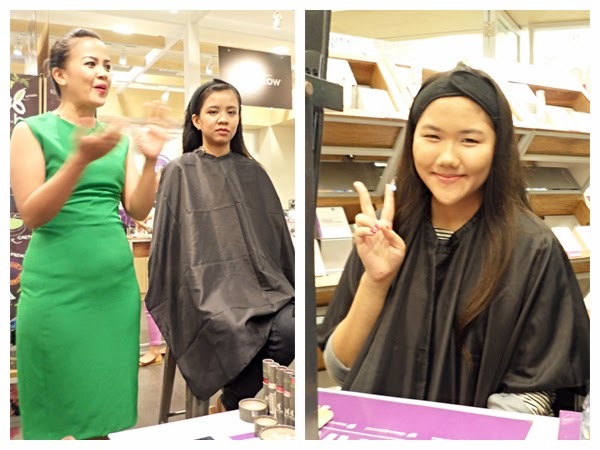 The other participant who also a blogger is Dewi Yang, go visit her blog ^^! (right pic). 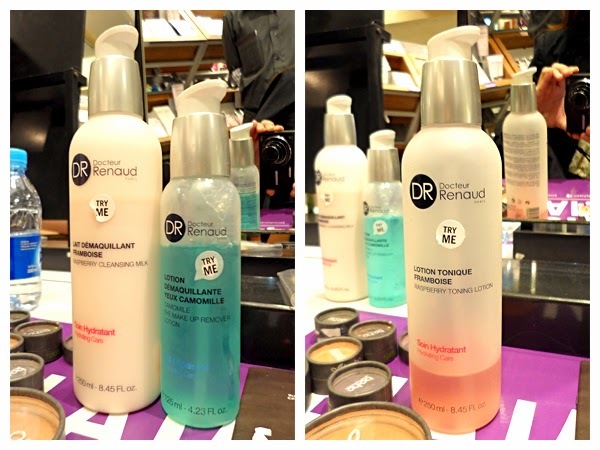 First we had to remove our makeup with Docteur Renaud products, then applied the toner too. I love how light and soft its texture on my skin. It also smells so good! 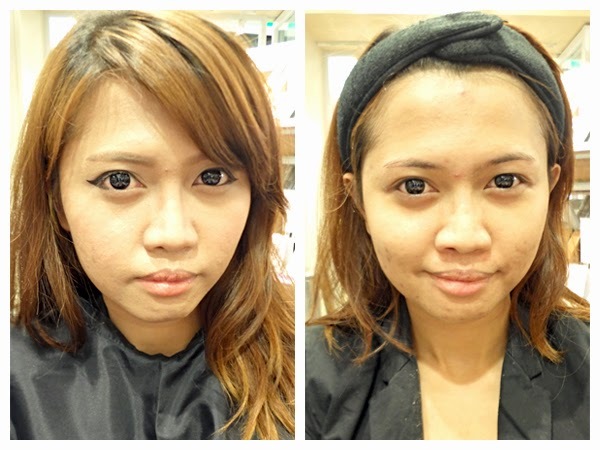 This is my face before & after using makeup makeup remover & toner..
Next.. makeup base! 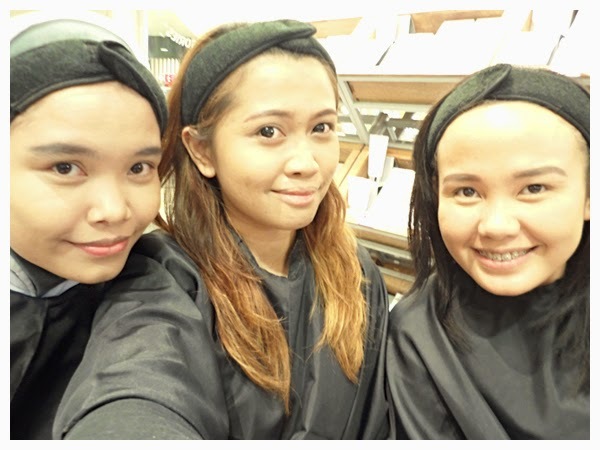 Because my skin tone is a bit dark, I choose Beige Dore shade for foundation and powder. 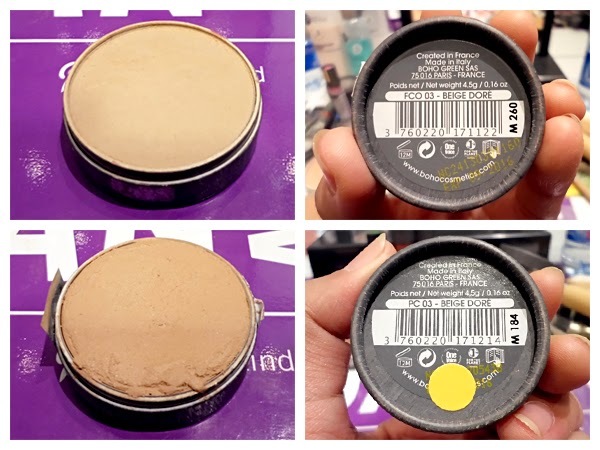 You can see the color is a bit different (top pic: powder, bottom pic: cream foundation). 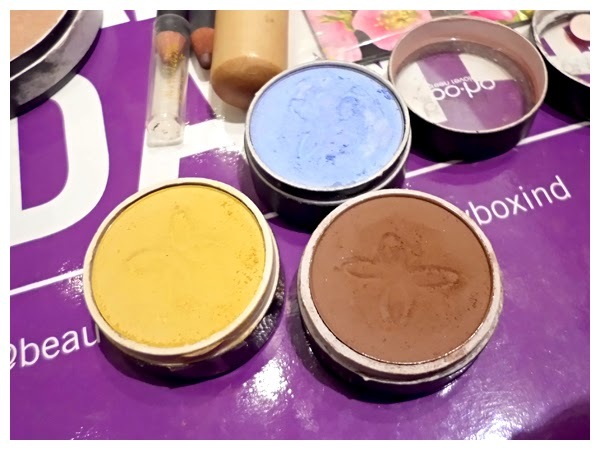 The powder is a little bit brighter than the foundation. This shade looks good on my skin tone. I also applied concealer to cover redness and blemishes. 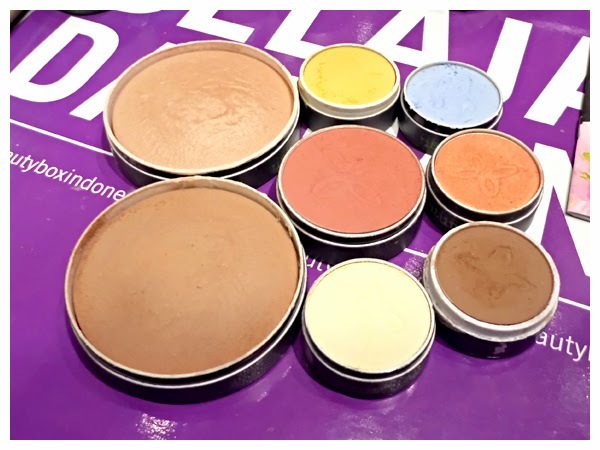 Although bo.ho used natural ingredients, its eyeshadow shades are as vibrant as the other brand. 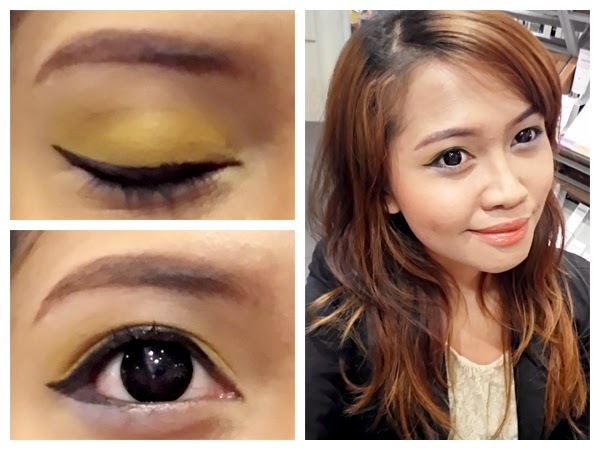 I really fall in love with this Yellow matte eyeshadow! Next... lip color. 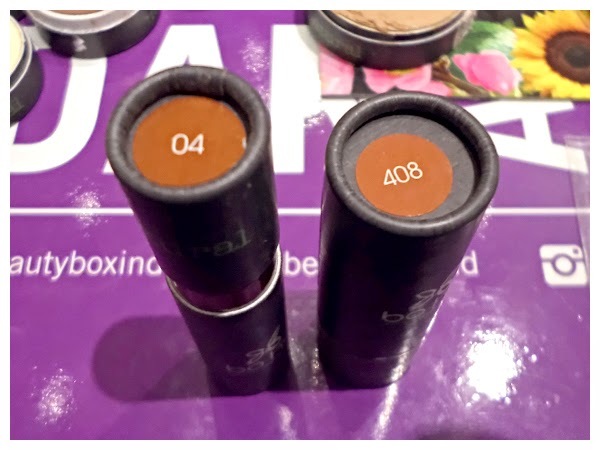 I use this #408 lipstick and #04 lipgloss, which had orange-ish tone, match with my eye makeup. 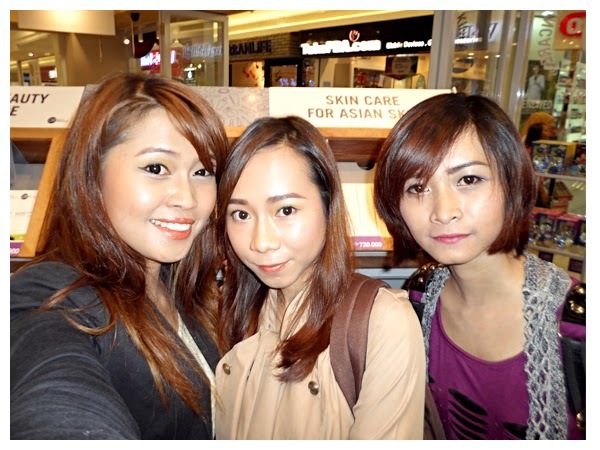 Then we completed the look with bronzer, blusher and highlighter. bo.ho has 2 kind of bronzer: shimmery and matte. I prefer the matte one to create contour my cheekbones and nose. 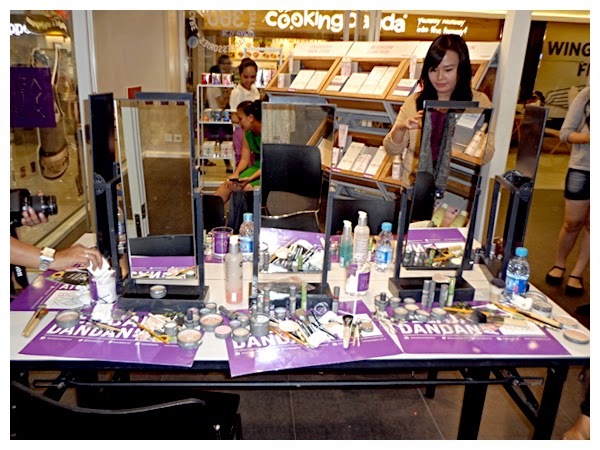 Our tables after the beauty class finished..
We look so pretty eh? 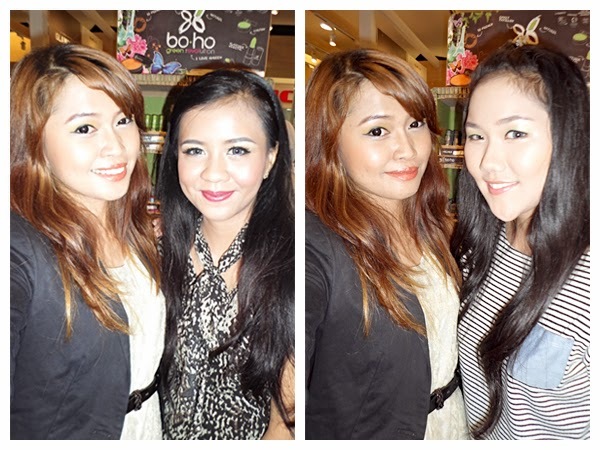 Hehe..
Me with Raden Ayu (visit her blog!) and Alin.